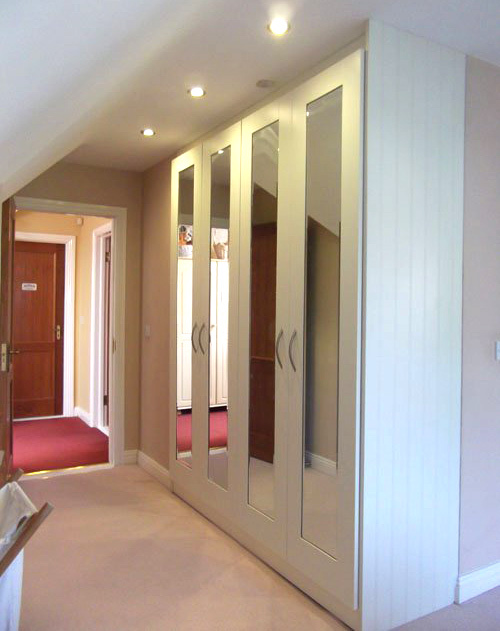 A.D.Woodcraft are specialists in fitted wardrobes in Dublin, designed to maximise all your storage needs. We have an unlimited range of styles and colours to choose from and numerous accessory options, shoe drawers, tie racks, jewellery drawers and many more to make your wardrobe the ideal storage solution for you. 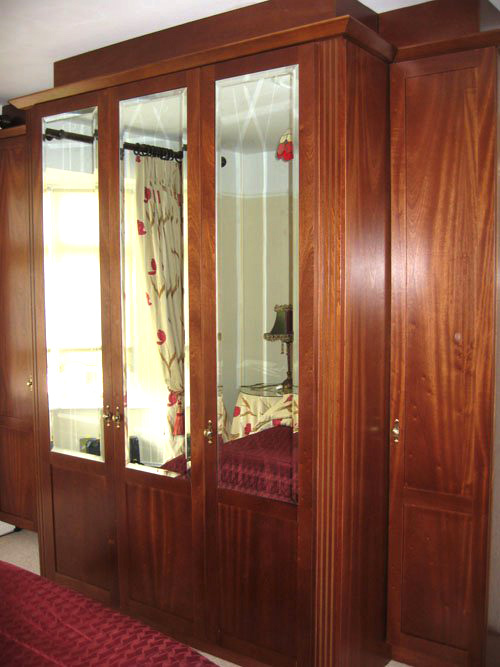 A D Woodcraft provides modern or classic wardrobes which can be designed to match your existing furniture. 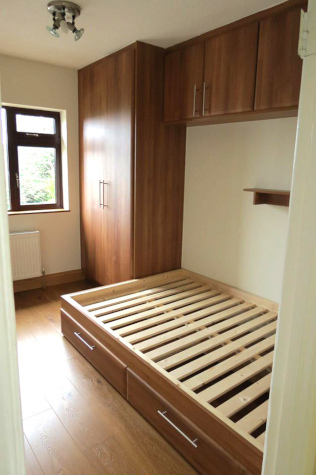 The units can also be provided as free standing wardrobes, in half an alcove or simply on one wall. You do not need to have alcove spaces to benefit from our wardrobes. Maximising space with an internal design to fit you perfectly is what we achieve with our bespoke fitted wardrobes in Dublin. 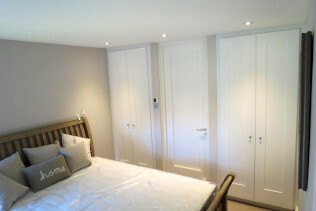 Our fitted wardrobes are bespoke, made your exact specification meaning that you end up with a design that is 100% fit for purpose which matches the decor of the room it is in. The options are endless with fully bespoke internal configurations which are set out to the millimetre. From sliding wardrobes to extra storage space, our trusted and relaible tradesmen can assist with your exact requirements. Any combination of hanging and shelving is included in the price of any fitted wardrobe in Dublin. Lighting, mirrors, drawers and special effect paintwork can be added giving untold choice to allow you to create the ultimate statement and or storage space, we can cater for many other areas as well as wardrobes. We can also provide a range of different wood types. Whether you just want simple, basic finished chipboard (as cost-effective as it is, we don’t recommend it) or solid oak, you can choose what your wardrobe is built from, and this, of course, will be factored into the price. If you are interested in our 100 percent bespoke wooden fitted wardrobes, please feel free to contact us on 00 353 85 127 0371 or by emailing any queries to info@adwoodcraft.com for a free quote.